In 2017, some people thought that drones were a trend that would go away in a few months, like a fad, but recently they have taken a more important role on than most people thought. Amazon made news with the announcement that they were looking to replace some of their delivery drivers with drones and other automated services. Something close to that almost science fiction like idea might be coming to fruition in Canada soon. 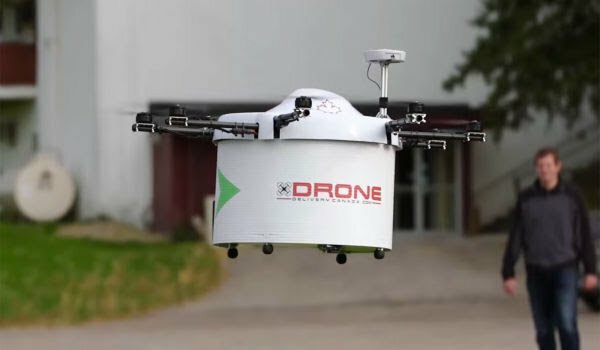 A company called Drone Delivery Canada announced in August that it had received a license from the Canadian government to fly a new heavy lifting drone that it says will be used for delivering goods. While this may not sound like a revolutionary step, the major thing is that the drone has been tested in a long range use. Never before has any machine like this passed a “beyond visible line of sight” test, or in other words, this is the first one to be able to go somewhere where the operator cannot see it. I have been looking forward to a day when these promises would finally be fulfilled, and I think that there is a lot of potential for the kinds of things that companies could do with drones like these. Combined with this, there is always the fact that this is not the final step in the technological march. Times won’t stop, and eventually, this kind of thing will be commonplace and we will be fawning over the next new thing. The big concern is how many jobs will be lost to these drones, we will have to wait and see. We all know the saying that “there’s an app for everything”, and in today’s world, this couldn’t be more true. 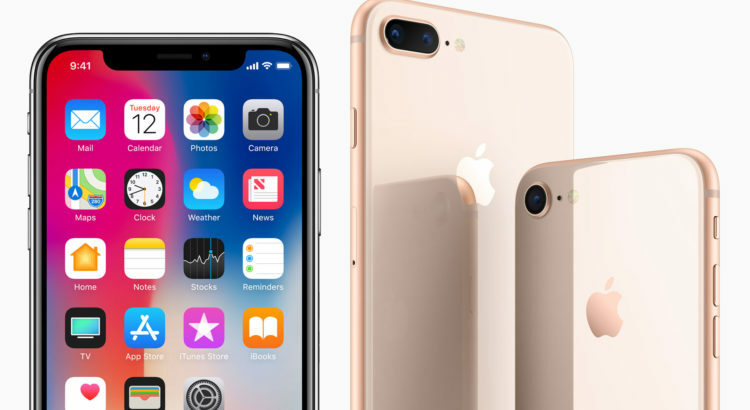 Apps are replacing some of the more traditional industries, such as PayPal taking the place of banks in some situations, iTunes taking over the place of CDs and records in music, and online news subscriptions have caused a massive drop in the news industry. However, one of the biggest and most burgeoning industries on the app world is the dating industry, with top apps such as Tinder not only getting hundreds of millions of downloads, but even working their way into our daily lives such as with the phrases “swipe left” and “swipe right” becoming commonplace phrases. These apps have taken their foothold all over the world, and in Ottawa, it’s no different. In fact, the city itself has actually adopted this new movement to technology and has endorsed some apps that would provide a public service to its citizens Like other cities, they not only endorse apps created by people made for the city, but have taken it one step father and have even developed some themselves. Granted, the city may not be the cutting edge of technology but to me, it’s worth quite a bit that they have taken the effort to embrace the new culture surrounding public services. Some of the apps provided do miniscule things, such as one on the Ottawa.ca website called “Bathroom Scout”, which does just what it sounds like; finds the nearest bathroom, while others are a little more general and widespread like the “JOINOttawa” app, published by the city itself, which helps people get more involved with the community by showing things to do while they’re there. In today’s world, as more parts of business and people’s personal lives becomes dependent on technology, there is a race between cybersecurity and the people who try to circumvent it. However, there is also a different kind of crime that can be tackled using technology; in-store theft. 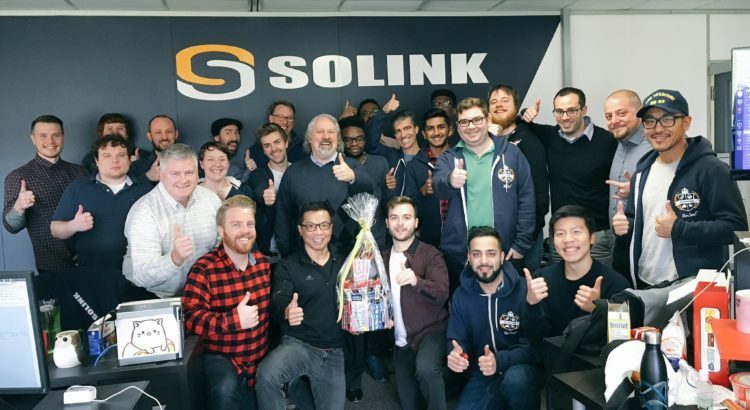 While most companies are trying to focus solely on protecting their customers online assets from tech savvy people with bad intentions, the Ottawa-based company Solink is using that technology to delete a problem that has been around for years. Solink fills a hole in the niche industry that I think has been around for far too long. They use video surveillance and tracking to weed out fraud and theft, which minimizes loss due to crime. Their work is valuable in the sense that it will make prices go down for the customers of these establishments, which is something that I am sure we can all be happy for. It also means higher profits for these conglomerates, leading to happy owners. Through their work, they have received recognition both inside and out of Ottawa. In late 2017, they were named the recipient of the 2017 Team of the Year Award presented by the Best Ottawa Business Awards. Not only have they received awards in Ottawa, but they are also drawing more innovations to the city with some of their prestigious customers. One that is known by everyone is the business mogul Elon Musk, who has added them to his portfolio. In my eyes, once other companies see the potential for such big investments, they will not only be drawn to make better products, but even to see Ottawa as a new potential business hub for the high-tech age. When I think about Ottawa, I think of quite a few things: stunning museums, brutal snowfalls, and huge multiculturalism. But, one of the things that the capital of Canada is not so well-known for is being on the cutting edge of technology, and especially not in an automotive sense. 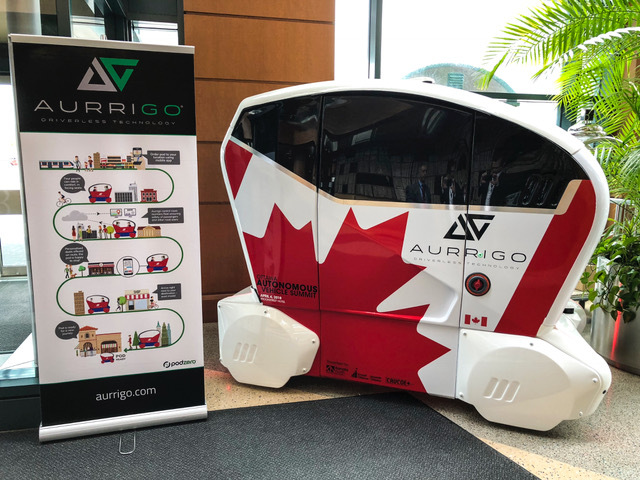 However, earlier this year, Aurrigo’s Canadian division made the city the new headquarters of its project for driverless pods. 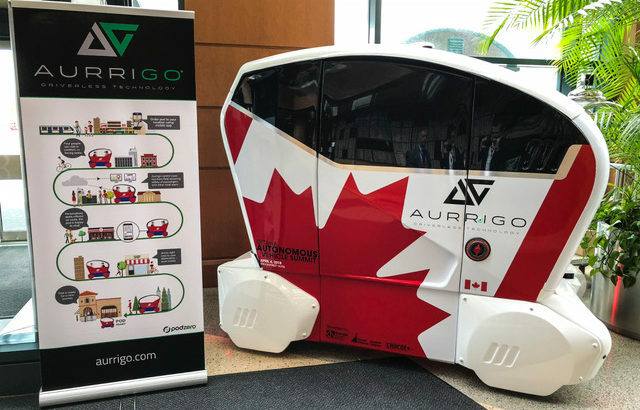 This is a decision that Aurrigo haven’t taken lightly, it is one that has Ottawa to thank for, as Ottawa in recent years has been determined to attract more technology companies to the city. Even though they are not the first driverless car company to invest in the city, they seem to make much more of a news topic than some of the other competitors. This is because no one expected them to choose Ottawa. The company Aurrigo itself has stated that it chose Ottawa for two main reasons. The first being that where the company itself is based, in the United Kingdom, does not have nearly the same climate as Ottawa, so a different kind of region would be good for testing their products’ endurance. The second is the investments from Ottawa itself. Ottawa has an entire department dedicated to enticing high-tech companies into moving some of their assets to the city, and I have no doubt that they had a big part to play in this deal as well. Overall, I see this as a major addition to the development of Ottawa, and because of this major step, there will likely be many more companies attracted to the city. As more technology keeps moving in, it will not only benefit the city, but provide evidence to other firms that Ottawa is a viable environment for their high-tech needs. 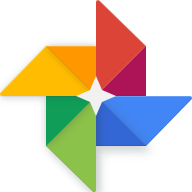 Google Photos is a must have for any smartphone photographer. 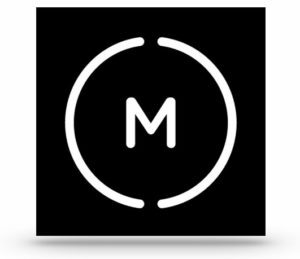 It symbolises the end of those pesky your storage is full notifications, by providing free unlimited cloud storage for all your photos and videos. All these photos and videos are safely backed up to Google’s cloud, this means you never lose that perfect picture or priceless family video. These photos are then accessible on all your devices, no more connecting your device to a computer to get access. So you’ve got the smartphone with the best camera, you take a picture and it looks wonderful. Now you go to take another picture, you can’t make the picture how you want it because there are no manual settings. That’s where moment comes in, you can customise any of the camera’s settings and even save the photo in raw format. With moment your photos finally look like you intended. 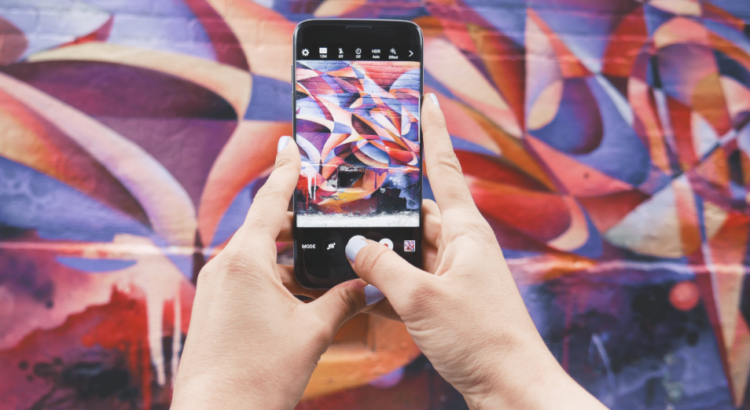 The best thing about smartphone photography is that the whole process can be done on something that can fit in your pocket, so why not do the editing on your smartphone too? With Pixlr you can do just that, it won’t replace Photoshop for your major edits, but it has all the tools you need to make your pictures look professional. While it was founded in 1826 under a different name, Ottawa was incorporated into Canada in 1855. Today, it has been voted as one of the most livable cities both in North America and the world. Home to over 1.3 million people, Ottawa is a great place for tech startups. Because of the number of cultural institutions and universities, it has also become one of the most educated cities in Canada. Apart from the federal government, tech companies employ over 64,000 people. So what are the tech startups in and around Ottawa? How has the industry become so significant? Before speaking about the tech companies, one must consider the people who have worked so hard to ensure that the industry is what it is today. These people make it possible for start-up companies to begin and be successful. Their skills have helped numerous companies grow beyond what they thought was possible. These tech giants offer great advice to startups that allow them to grow and expand to become global giants. One such tech industry guru is Ravi Shanghavi. He is a professional project management and computing expert both in Ottawa and Canada. He is also the president of Antilia homes. He has lived and grown in Ottawa and thus knows a lot about Ottawa. 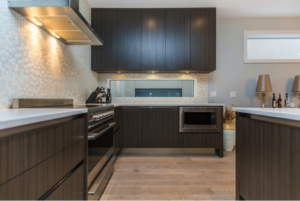 Ravi Shanghavi, therefore, uses his knowledge of Ottawa and his years of experience as a project manager to develop properties that are for sale, to be rented and numerous real estate investments. In his many years in the tech industry, Ravi Shanghavi Ottawa has worked with large enterprises such as Nokia,Symantec, and HP where he gained a lot of experience and skills that he used to hone his skills. Because of his numerous skills and experiences, Ravi Shanghavi has been hired by numerous start-up companies to help them rise in the industry and grow. He has skills in virtualization, cloud computing, grid computing and architecture amongst others. For Nokia in 2008, Ravi worked as a line manager. He, therefore, has proven management skills that he uses to manage and grow his company and ensure everything is working smoothly. In addi0ti0on to his experiences, Ravi has an MBA from Edinburgh Business School under his belt. He also has certification from Microsoft as an IT professional and is a Nokia certified security associate. 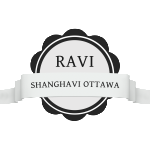 This exemplifies the breadth of knowledge and expertise that Ravi Shanghavi Ottawa has gained throughout the years in tech and computing in addition to management skills earned through managing his companies. Their mission statement, “Love your data” tells you almost everything you need to know about the enterprise. It offers data support to some of the biggest businesses in Ottawa. They were the pioneers of providing big data and have grown from scratch to reach the entire world with their services. They are not just some boring company. They also have some fun while naming their products. For instance, their Analytics service is known as Kick Aaas! Up until the Canadian banks deposited $6 million into their company in 2014, this company did not have much influence. However, this began a series of funding that has given this tech company wings to fly and ground to stand on. They, therefore, qualify as one of the most successful tech companies in Ottawa. This is one of the most innovative companies in Ottawa. It recognized the fact that business owners need to have an eye on each of their business activities to ensure that everything is working smoothly and make corrections where they are needed. With this company, over 8000 companies in Ottawa have created custom dashboards where they can monitor every process in their business. While this company was founded in 2001, it found i0ts significant capital investment in 2014. This money allowed it to move its services to the cloud and increased its capacity. Therefore, while it was running for years, it did not have a lot of clients and was not as well-known as it is today. This company opened late 2014 with angel funding. They have continuously had investors invest in their business, and that is how they have managed to get so far in such a short period. This company also tapped into a market that has great potential. Unlike in the past where HTML code was used to define the operability of websites, today, people are looking for great content. Even so, more and more people are looking for websites with videos and audios because listening is easier than reading, for most people. 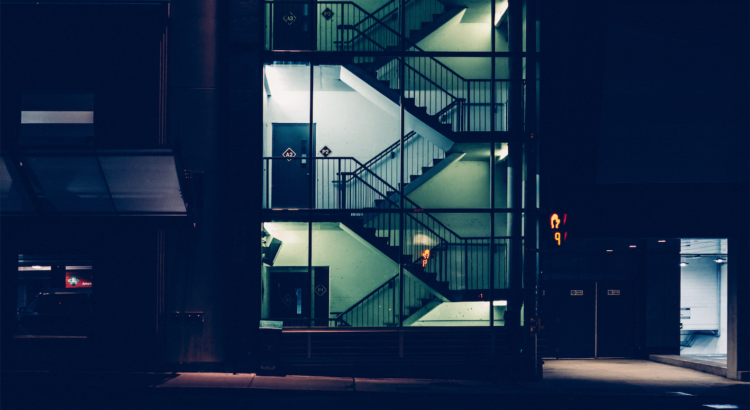 By tapping into this great market potential, this company has found a great financial design and numerous clients in the few years it has been in operation. This company began in 2013 with angel funding and additional funding from series A funding in 2015. While most people do not see farming as a tech industry kind of thing, this company has revolutionized how individuals and companies buy and sell food. By creating a grain market place, the market is not only transparent, but it is also much more efficient. This is a company that began in 2004 but is considered a startup because it finally became an IPO in 2015 and got its first funding seven years after it started. It began when e-commerce was problematic and has pushed against all the odds to become one of the biggest tech companies in Ottawa. They provide enterprise-grade materials and tools that allow medium and small businesses reach their retail customers when they do not have the ability to ship products to customers who are far away. This company has become global. Ottawa is a great city to live in because it has a fast-growing economy, a significant market potential and tech giants like Ravi Shanghavi Ottawa who are willing to share their knowledge and help other people grow in the industry. With the right resources and advice, it is easy and convenient for small companies to grow and become tech giants in just a few years. You can find more info about Ravi on his various other blogs.